ANOTHER INCENTIVE TO SHOP LOCALLY: HOW ABOUT A TAX BREAK OR REBATE CHECK? Forward Ever Sustainable Business Alliance and Newark Community Economic Development Corporation (Newark CEDC) are collaborating on a program they hope will encourage more local spending in Newark, in particular with independent businesses. According to a study cited in the Huffington Post, spending money at local, independent businesses generates 70 percent more local economic activity than shopping at big box stores, and generates three-and-a-half times more wealth for local economies than spending money at chain-owned businesses. It’s those types of economics that Forward Ever, lead by Executive Director Karen Brown-Stovell, and Newark CEDC, helmed by CEO Aisha Glover, are looking to facilitate with a new property tax reward campaign aimed at local shoppers. Brown-Stovell brought the idea to the city. When implemented, local businesses can sign up to provide deals to consumers. On the consumer side, Newark homeowners who sign up for the program can earn property tax reductions for spending with participating businesses. Those who don’t own property in Newark–renters, commuters, students and visitors–will receive an annual rebate check reflecting the volume of their local spending. The program is intended to leverage the demonstrated power of reward programs to drive higher sales for businesses, and to increase exposure for those businesses via their participation in the program. For the consumer, the value proposition is simple: they get a deal. Brown-Stovell described the program as a “game changer” that provides an attractive incentive for consumers to shop locally. Glover said one of the keys to making the program work when it launches will be in marketing it effectively to both businesses and consumers. She and Brown-Stovell are looking to enroll 30,000 Newark households–that’s a third of city households–into the program. 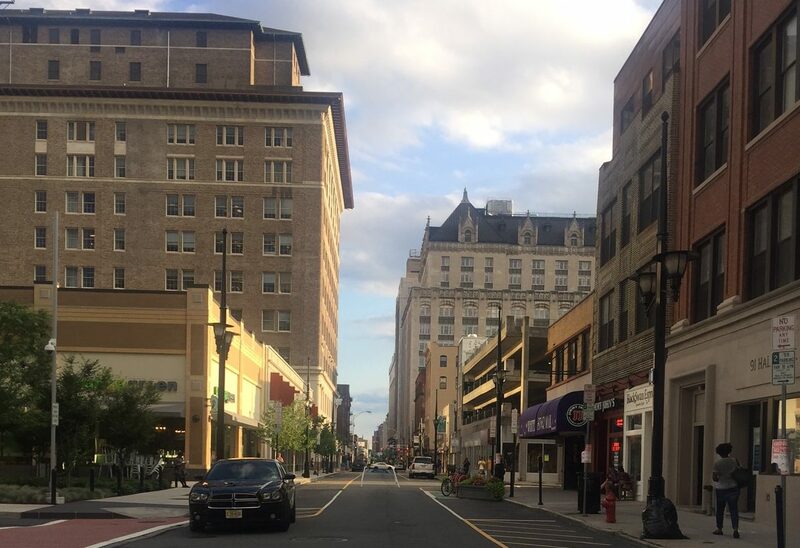 As for the businesses, Newark CEDC’s existing relationships and infrastructure can go a long way towards socializing and implementing the program in every part of the city. “I have business development staff that are assigned to each ward within the city, who walk the corridors of each ward and who know the businesses. Many of them were born and raised in a particular ward that they happen to be working in as well,” said Glover. As for the status of the program, Glover said they’re about 50 percent of the way toward getting the funding needed to start, market and run the program. At $1 per card, the startup costs of printing the cards alone will run up to $30,000. Then there’s the effective marketing to local consumers and technical assistance for businesses required to make sure the program gets adopted and can have an impact. Glover said they’re hoping to finalize “buy local” sponsors in the fourth quarter of this year so they can launch the program in 2018. The recruiting efforts for businesses will emphasize local merchants and independent franchises, though Glover underscored that other local businesses who want to participate will not be turned away. Although the pure economic incentive of signing up can be compelling for consumers, Glover and Brown-Stovell think they will also be excited to have another framework for supporting local merchants. “It’s the same reason why people might buy eco-friendly products–it’s a matter of principle,” said Glover. In addition to helping to circulate dollars through the local economy more readily, Glover also said the program can help generate data that informs where Newark CEDC makes other investments. While the program won’t collect consumer buying data, they will be able to get a city-level look at the type of business data that is currently collected at the county level: whether businesses are women- or minority-led, business sectors and categories, and other pertinent information. This type of insight, said Glover, can help Newark CEDC tailor the types of services they provide to local business, and attract more institutional investment that is relevant to Newark’s small business landscape.